Earn $20.00 in Rewards credit (2000 points) What's This? The size you selected is a special order item but is usually available within several days. We will contact you with order confirmation. 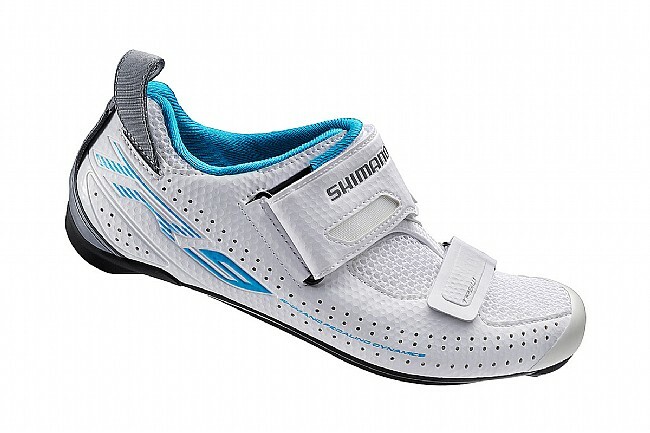 Shimano's SH-TR9W Women's Triathlon Shoe is designed to save you precious seconds during transitions and put you further ahead with every pedal stroke. 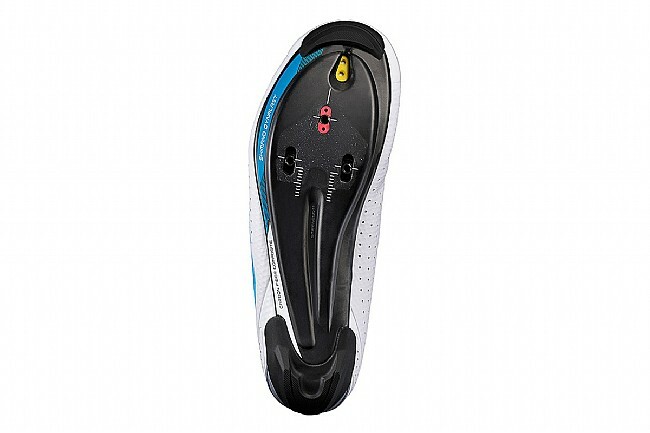 A Dynalast carbon sole is rated 10 of 12 of Shimano's stiffness scale, and its tuned shape puts your foot in the prime position for the most efficient power output possible. 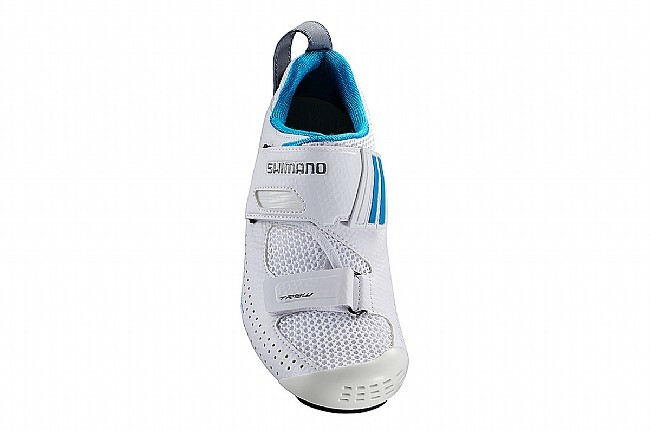 Quick-dry mesh and generous vents around the shoe ensure feet can dry out after the swim, and the TR9's wide collar a T1-Quick strap make it easy to have the shoe wide open and ready for a fast change over. Claimed weight is 251 g (size 40). 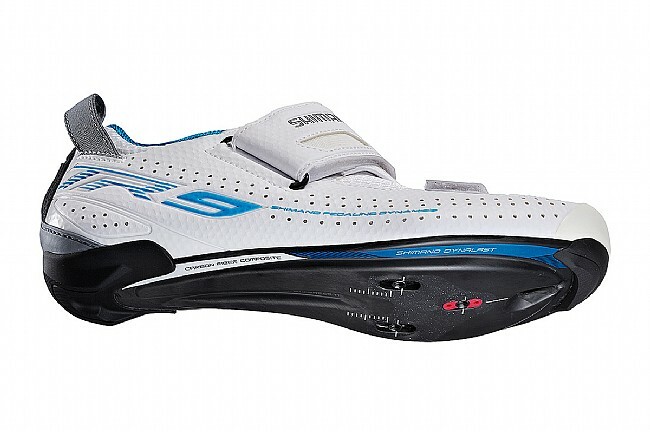 Compatible with standard 3-bolt road cleats.